Baby Boomer Going Like Sixty – Page 3 – Baby boomer man humorously looking at life after 60, retirement in Costa Rica and Florida. Baby boomer man humorously looking at life after 60, retirement in Costa Rica and Florida. Thanks for taking time to comment! 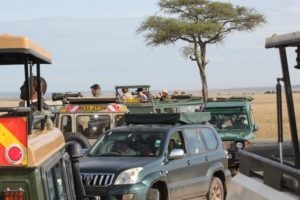 Kenya Safari: Random tips about packing and what to take etc. Gate 1 Travel does a great job explaining some of the details a safari traveler might not think of. Here’s our spin on their advice and ideas that you may find useful. A visa is required to enter Kenya. It’s not that difficult and can be done online. But many in line to enter Kenya at the airport didn’t have a e-Visa and spent time filling out forms and waiting in another line. And remember, your passport must be valid for six months past your travel dates. A couple of experienced travelers – one male and one female (not together) were doing eighteen days on safari and got all their stuff in one regular size backpack! Let this be your inspiration. Gate 1 suggests a small travel alarm. I bought one (cheapo) and never got it out of the bag. You can probably skip this if you have a phone. Wake up calls came in person while on safari! Along with choice of hot chocolate, coffee, tee and cookies. Bug Repellant: we bought packed Deet and never used it. We were pleasantly surprised at the lack of any bugs. Hand sanitizer: this we should have used. It’s easy, small, and common sense. We didn’t use it, but you should! Wet wipes: I took a couple hundred and used just two to clean the camera lens. Small and cheap, but skip it. 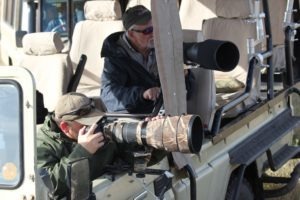 Binoculars: If you own a good pair and are an experienced user, by all means take them, but don’t purchase a pair unless you have other uses for them after the safari. I have a camera with a 300 mm lens. It got me up close. Nancy didn’t want to mess with focusing the binoculars, so they stayed in the bag. Camera: If you don’t have one with a good zoom lens, borrow or buy one. The small point and shoot cameras with zoom just won’t give you the kind of photos you’ll want. On the other hand, the small point and shoots and phones are fine for around-the-table photos or capturing the sweeping vistas. Don’t use an iPad to shoot photos, too bulky. Important Papers: make copies of all your important documents and keep in a safe place away from your other paperwork. Jot down your “must have” passwords and account numbers in case of emergency. Or if you use a password manager, jot down your master password. Buy a plastic 9 x 12 envelope to put your papers in to keep them organized an readily available. Check your devices for compatibility with voltage. Most gadgets are compatible with a variety of voltages, so voltage converters aren’t needed. ATM: it took us two tries at different banks to get local cash. One bank ATM didn’t give access to our checking account. Alert your guide if you are running low on cash, finding an ATM may require stopping when moving from one camp to another. Book by May 31, 2019 and save $250 per person off our regular price on this Kenya Safari Exploration and applicable extensions. Promotion is not valid on existing reservations or combinable with any other promotions. To redeem the discounted savings, use promotional code MARK250 at the time of booking. Click here to book or call 877-900-9777 to speak with one of our reservation specialists. 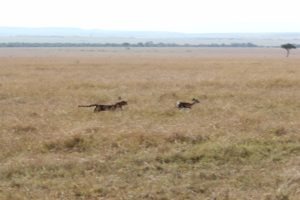 Kenya Safari: Is the Maasai Mara dying? Future Kenya Safari visitors may find an entirely different place that we saw if drastic changes aren’t made soon. The Maasai Marai is one of the most renowned and visited nature reserves in Kenya, home to millions of animals and famous for its sweeping savannahs. But this pillar of Kenya’s tourism is drying up at a rapid pace. 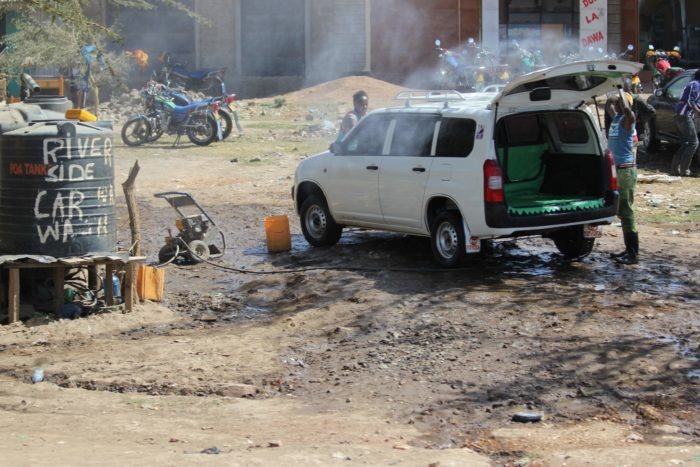 The combined effects of upstream deforestation, booming demography and poor management of water resources mean an environmental disaster is in the making. A worrying trend as desertification continues to spread across vast swathes of the African continent. Everybody talks about going on Safari to see the Big Five. In Africa, the big five game animals are the lion, leopard, rhinoceros (both black and white species), elephant, and Cape buffalo. They are called the Big Five because big game hunters coveted their heads as trophies. Yes, she is claiming she saw all Big Five – including the rhino! And we saw a lot more than the Big Five. We went on safari to see Giraffes. Our first wild animal spotting was leaving the airport. Just a mile outside the main gate, the taxi driver slowed to a stop and pointed out a herd of 30 impala grazing along the road. Amazing! We saw lots of giraffes! Never enough that we tired of watching them. We saw them in every park we toured, but the Masai Mara – our last stop was the most sparse. We saw hundreds of wildebeest as part of their migration. Same with Zebras – two different species. We saw elephants, water buck, cape buffalo, gazelles (many species), antelope, oryx, in large groups. We even saw an Ostrich and other beautiful birds. Is every bird in Africa as colorful as the ones we saw? We did tire of seeing Wildebeest, zebras, and cape buffalo! And we saw nature in action. At the end of a game drive one day, our guide spotted a Zebra standing alone near a river. We could see from a distance his hind quarter was unnaturally dark. The guide said the Zebra was badly injured. He asked if we wanted to get closer. The group decided no. The guide was appreciative. We all knew the animal would not last the night. The following morning, unknown to us, the guide headed right out to see where the Zebra was standing. It was gone. Nearby, a pack of Hyenas were gathered. We all knew why. 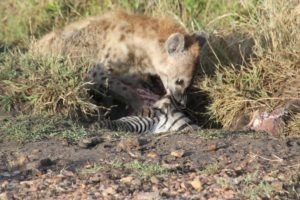 The hyenas were finishing off the Zebra. 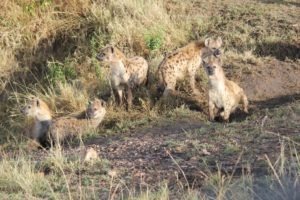 We didn’t see (or hear) the kill, but we did hear the Hyenas crunching bones and barking. 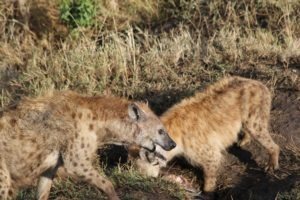 Hyenas are not competitive when it comes to eating. Later the same day, we had an even more dramatic encounter with Mother Nature. The biggest thrill for me was the a cheetah killing a gazelle on the run. I had earlier asked the guide how many kills he had seen. He estimated about a dozen in the fifteen years he had been a guide. We (along with a dozen other vehicles) spotted a Cheetah with her family near a tree. She soon ambled into the tall grass and her family followed. We got close enough to get our pictures and then moved away leaving the Cheetah to the professional photographers. 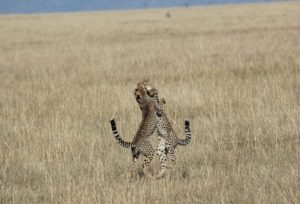 The “brothers” Cheetah put on a show, tussling and rasslin’ their way through the grass. NOTE: Don’t let the closeness and number of vehicles concern you. This was rare. There are millions of animals in the Maasai Mara. We often went for hours without seeing another human but saw hundreds of animals. The unusual animals attract human visitors! We then moved a few hundred yards from the Cheetah family. Suddenly every animal near us started running. First a canter and then full speed flight. Immediately we knew the Cheetah was hunting. She was unsuccessful her first run, suddenly pulling up from a full speed chase and sitting down. Shortly thereafter, Nancy said, “Oh don’t get the baby – don’t get the baby.” She saw a small gazelle alone, oblivious at first to the danger. I was focused through the viewfinder – missing the big picture. Nancy said the gazelle bounded away making a series of quick cuts trying to avoid being killed. But of course, it was no match for the Cheetah. 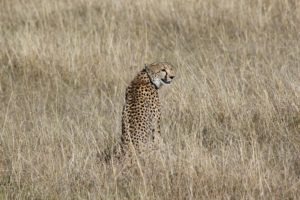 The mother Cheetah sat beside her kill for a minute or two looking for her cubs. 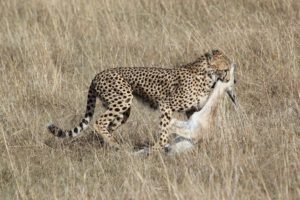 She then started dragging the kill through the grass – our guide explaining that we were making her nervous – as were the other photographers who quickly roared into position between her and us. I had very mixed feelings about what we saw. It was thrilling – certainly a once-in-a-lifetime experience for us. An animal killed another while we watched. I never really saw it because I was looking through a viewfinder. But the other photographers with the multi-thousand dollar cameras missed it!!! We had come to see animals and were not disappointed – not even in the slightest. It made the long, grueling trip worthwhile. A wedding anniversary to remember.